Much like freshly brewed green tea, the Mandarin Green Tea collection comprises steeped, spiced green notes with refreshing mandarin zest, which creates a lovely counterpoint to the subtle warmth of the green tea. The signature formula combines meticulously crafted ingredients to form a glorious ratio between mandarin and green tea, evoking freshness and vitality, and offering an instant boost of joy. The refreshing body wash nourishes, cleanses and moisturises your skin. Formulated with aloe vera extract and vitamins E and C, the body wash keeps skin extra healthy. Hydrating sodium PCA draws water to the skin to maintain a perfect moisture balance. It also creates a rich, creamy lather that gently cleanses and brightens your skin, fighting pigmentation and age spots. Suitable for all skin types. · One body wash for all skin types. This hand wash creates a rich, creamy lather that gently cleanses your hands, turning a mundane experience into an indulgent one! Formulated with hydrating sodium PCA that draws moisture to the skin, keeping you hands soft and smooth all day long. Aloe vera extract further nurtures and soothes your hands, together with vitamins E and C to provide deep nourishment and antioxidants benefits, revealing once again our hands' silky glow. · Vitamins E and C nurture our skin deeply to reveal a healthy glow. Nothing boosts your mood more easily than by applying layers of hand and body balm that is fragrant and nourishing at the same time. Rich with olive oil, jojoba seed oil and wheat germ oil, the balm is the ultimate intensive moisture care for dry skin. Nourishing yet quickly absorbed, the balm has a silky lightweight texture that instantly conditions your skin. Aloe vera and vitamin E relieve dryness, softening and replenishing the texture of your skin day after day. · Lightweight texture facilitates absorption, leaving a pleasant mandarin green tea aroma on your skin. This lathering shampoo leaves hair and scalp clean, manageable and healthy. 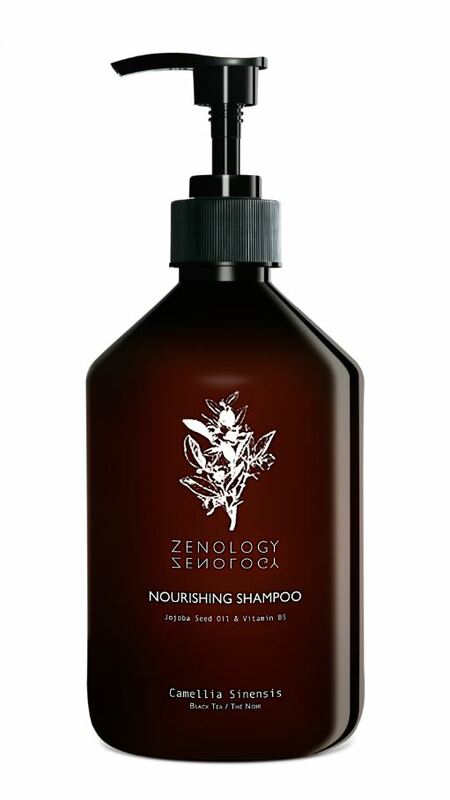 Suitable for all hair types and formulated with hydrolysed wheat protein, jojoba seed oil and vitamin B5, the shampoo will leave your hair nourished with a soft glow and healthy bounce. · Deeply nourishing with hydrolysed wheat protein, jojoba seed oil and vitamin B5. 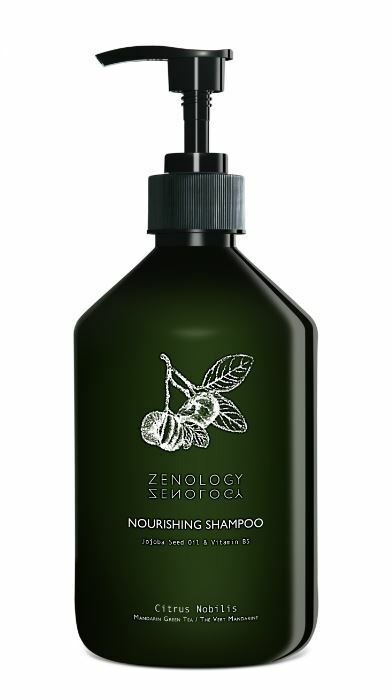 Suitable for all hair types, the shampoo imparts incredible shine and bounce, leaving your hair manageable and healthy. The super lathering formula nurtures damaged hair, and jojoba seed oil and vitamin B5 maintain the hair's moisture level while stimulating growth. Its refreshing fragrance with a hint of spice leaves your hair with a long-lasting aroma. · Imparts shine and bounce, leaving your hair manageable and in its best condition. Black tea, from leaves of the Camellia Sinensis, is praised both for its strongly aromatic scent and its health benefits for body and soul. The Black Tea collection plays with this classic fragrance, combining it with nutmeg, pepper, the warmth of Bois de Gaiac and the clarity of bergamot and sage, resulting in an impeccably tranquil scent. This body wash creates a rich, creamy lather to gently cleanse your skin, leaving a trace of its warm aroma on your skin. Formulated with hydrating sodium PCA and aloe vera extract to help achieve the perfect moisture balance, it also has vitamins E and C to provide deep nourishment. · Rich creamy lather gently cleanses your body. Wash your hands with this creamy hand wash, inhaling the warm fragrance of black tea. Formulated with hydrating sodium PCA that draws moisture to the surface of the skin, keeping your hands soft and smooth all day long. Aloe vera extract further nurtures and soothes your hands, together with vitamins E and C to provide deep nourishment and antioxidant benefits, revealing once again your hands' silky glow. · Vitamins E and C deeply nurture your skin to reveal a healthy glow. Rich with olive oil, jojoba seed oil and wheat germ oil, this balm is the ultimate intensive moisture care for dry skin. Nourishing yet easy to absorb, the balm has a silky lightweight texture that conditions your skin in-stantly. Aloe vera and vitamin E relieve dry skin, softening and replenishing the texture of your skin day after day. · Lightweight texture facilitates absorption, leaving behind a pleasant bergamot and black tea aroma. Suitable for all hair types, this lathering shampoo cleanses and deeply nourishes hair and scalp. Formulated with hydrolysed wheat protein, jojoba seed oil and vitamin B5, the shampoo leaves your hair silky with incredible shine and healthy bounce. Suitable for all hair types, this shampoo imparts incredible shine and bounce, leaving your hair manageable and healthy. The super-lathering formula nurtures damaged hair, with jojoba seed oil and vitamin B5 to maintain your hair's moisture level while stimulating hair growth. The warm, woody fragrance of black tea makes pampering your hair all the more enjoyable. Sophisticated and spicy, reminiscent of a fig freshly ripened in the warm African sun, this blissfully sweet scent has you almost tasting the fruitiness in the air. The Sycamore Fig collection brings together all the elements of the fig tree: the freshness of the leaves and sap, the warmth of the wood and the sensuality of the ripe fruit, all blended in harmony. This refreshing shower gel gently cleanses your skin, leaving a trace of sweet, fruity fig on your body. Formulated with hydrating sodium PCA and aloe vera extract to help achieve the perfect moisture balance, with vitamins E and C providing deep nourishment. Wash your hands with this refreshing hand wash while inhaling the sweet fragrance of fig. Formulated with hydrating sodium PCA, which draws moisture to the surface of the skin, your hands stay soft and smooth all day long. Aloe vera extract further nurtures and soothes, while vitamins E and C provide deep nourishment and antioxidant benefits, revealing once again your hands' silky glow. Rich with olive oil, jojoba seed oil and wheat germ oil, this balm moisturises and softens your hands anytime, anywhere. Nourishing yet easy to absorb, the balm has a silky lightweight texture that instantly conditions your skin. Aloe vera and vitamin E relieve dryness, re-energising the texture of your skin. · Lightweight texture facilitates absorption, leaving behind a pleasantly sweet aroma of fig. Suitable for all hair types, this lathering shampoo washes the grease away while leaving hair silky and nourished. 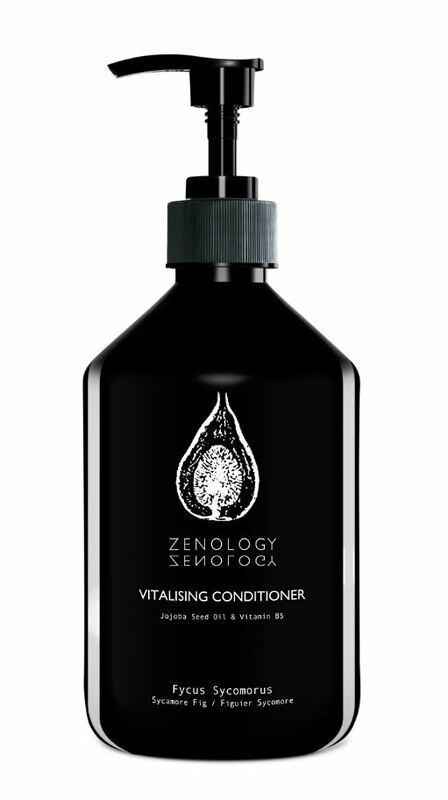 Formulated with hydrolysed wheat protein, jojoba seed oil and vitamin B5, this shampoo creates silky hair with incredible shine and healthy bounce. Replenish your hair to its former suppleness, shine and vitality. This super lathering formula nurtures damaged hair with jojoba seed oil and vit-amin B5, leaving your hair soft, nourished and manageable with a luscious trace of the vivacious scent of fig. In line with a focus on hotels, the iconic Ambiance Trigger was originally designed to perfume hotel rooms and public spaces. Pull the trigger and find yourself in the midst of precious scent, in symbiosis with the surroundings, as it expresses its unique olfactive identity. There are three distinctive scents in the collection: Mandarin Green Tea, Black Tea and Sycamore Fig, each creating its own fragrant atmosphere. 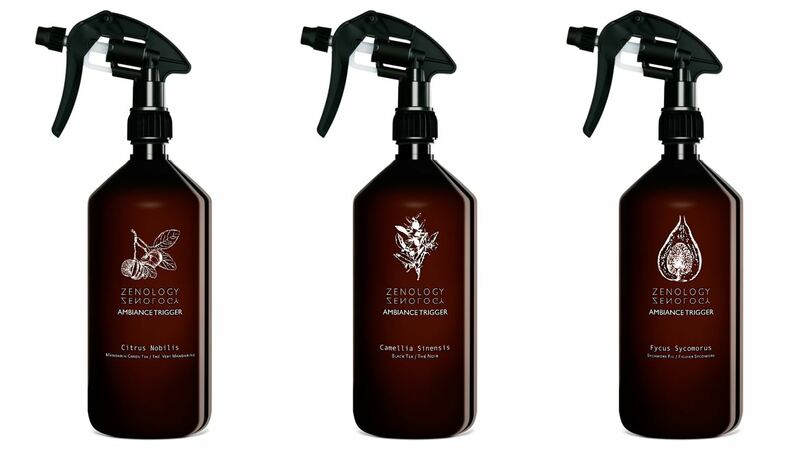 · The bottle design is based on industrial sprays, exuding a fine mist of precious fragrance. · Create your own space with a unique olfactive identity, boosting your mood with luxurious aromas. A blissfully sweet scent, the Sycamore Fig collection brings together all the elements of the fig tree: the freshness of the leaves and sap, the warmth of the wood and the sensuality of the ripe fruit, all blended in harmony. Sophisticated and spicy, reminiscent of a fig freshly ripened in the warm African sun, you can almost taste the fruitiness in the air. 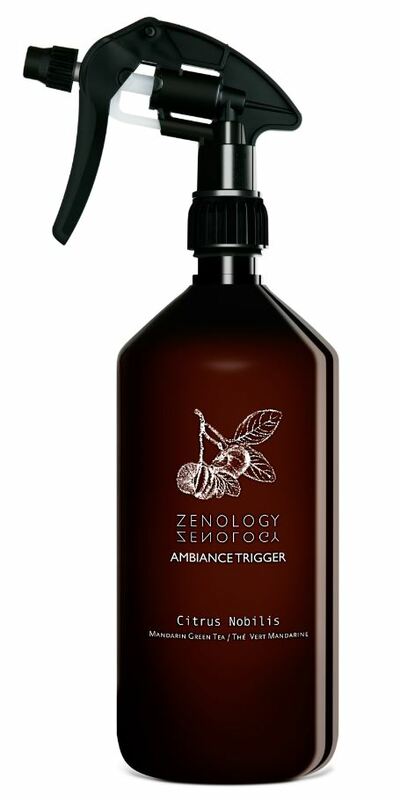 Zenology travels the world with you. The brand has selected four travel-size essentials for both men and women, including: a Cleansing Body Wash 40 ml; a Hydrating Hand and Body Balm 40 ml; a Nourishing Shampoo 40 ml; and a Vitalising Conditioner 40 ml. This means travellers can remain relaxed and comfortable across all time zones, surrounded by their favourite fragrance, anytime, anywhere.